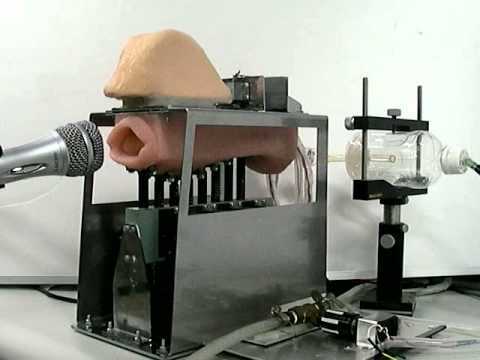 Robot mouth sings "Kagome Kagome" - YouTube - VideoWired.com - Get Wired! Robot mouth sings "Kagome Kagome"
In a scene from new documentary "The Captains," William Shatner spots a scantily clad woman in a furry bikini holding a stick with more fuzz balls on it. The Captains Asks: Spock or Khan? In a scene from new documentary "The Captains," a young fan asks William Shatner which unforgettable scream is the actor’s favorite. A growth stock like Apple in the tech sector naturally is attractive to investors, as opposed to say, Cisco, but with so many betting on the former, contrarians look to the latter as the one to hold, according to Mark Hulbert. Laura Mandaro reports. Images courtesy of Getty Images. MarketWatch Technology editor tells digits what to expect from Apple’s third quarter earnings results Tuesday after the close. The wireless industry keeps growing, but jobs continue to fade. There are calls for social networking and online etiquette to be taught in schools to tackle cyberbullying.